I love updating my blog’s layout. That’s one thing I am very proud of. That my blog’s layout is a product of endless tinkering and editing and updating and everything. I was swimming in codes and researching online. I was trying this and that. I was checking this or that. I want this on the lay out and I want that. I was trying every combination. Crazy, I know. But I love it. :) I really love doing this. I love designing a blog. I love working on a blog design project. 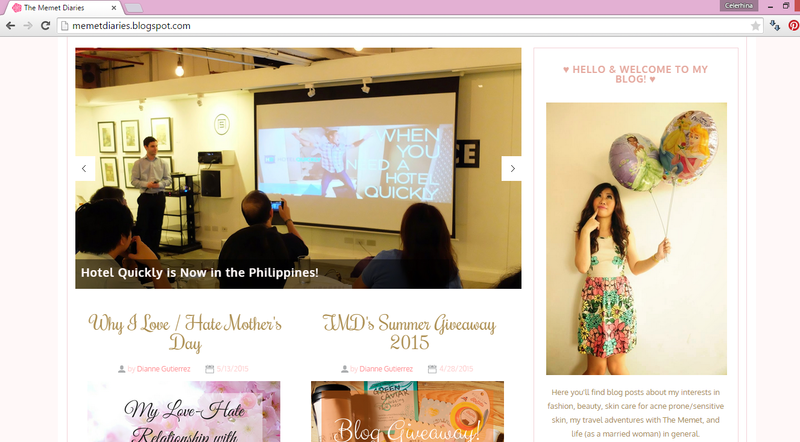 So when a friend asked me to re-design her blog, I immediately agreed. 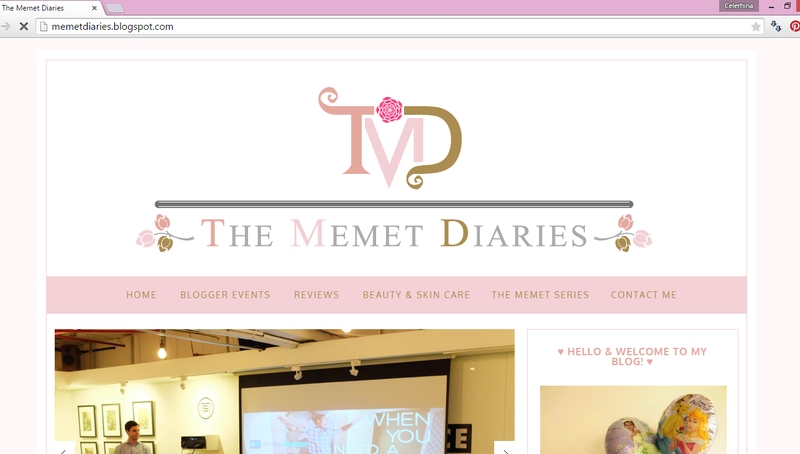 Dianne of The Memet Diaries wanted a feminine site. Simple. Sleek. With a touch of blush and gold. I love working on projects like this because it’s very similar to my taste. Pink din! And Dianne is such an easy client (client daw oh?!). Anyway, this layout is not at all original. I just updated it to suit the design layout that Dianne wants. The header and badge, however, are very much original. I have a friend who’s very good with Photoshop and did the design. Blogging about it because I’m very proud of how it ended up looking. Yay! And well, this is my open invitation to all my blogger friends. Email me if you want to give your blog a little make over too!! :) Promise, I’m easy to deal with. Hahahaha!